Are complex models the answer? In short, a physicist, a psychoanalyst and an economist believe that they can build a bigger model that captures the complexities of the real world and does a better job of forecasting the future. Good luck with that! While I wish them well, my response is that this will go nowhere or worse, go somewhere bad. Complex models work best with inputs that behave in thoroughly predictable ways: software and engineering models come to mind. They break down when the inputs are noisy and the relationships are unstable: macro economic models are perfect lab experiments for chaos. The subjects (human beings) belong in strange and unpredictable ways, the variables that matter keep shifting and the relationships between them change over time. In fact, I will wager that the models that worked worst during the last crisis were the most complex models with dozens of inputs and cross relationships. So, what is the solution? My experience in valuation suggests that you should go in the other direction. When faced with more uncertainty, strip the model down to only the basic inputs, minimize the complexity and build the simplest model you can. Take out all but the key variables and reduce detail. I use this principle when valuing companies. The more uncertainty I face, the less detail I have in my valuation, recognizing that my capacity to forecast diminishes with uncertainty and that errors I make on these inputs will magnify as they percolate through the valuation. More good news: if I am going to screw up, at least I will do so with a lot less work!! As many of you are aware, the last week has been filled with news stories about imminent arrests in an insider trading scandal that supposedly entangles multiple hedge funds and bankers at a couple of large investment banks. I am being leery about naming names, even though they are now in the public domain, since these selective leaks can be devastating not only to the individuals named but also to the entities that they represent. While some may feel that "they" deserve this, I think we still live in a country where you are innocent until proven guilty. So, I am going to use this story to talk about a bigger question. Not insider trading, because I have put my views on the topic down in a previous blog post, but about the hedge fund business. Note that many of the targets in this investigation are hedge fund managers. Since I have no reason to believe that hedge fund managers are any more immoral or unethical than any other random group of money managers, the question then becomes: What is it about the hedge fund business that seems to drive this constant search for an information edge? Or why do we not see more traditional mutual fund managers involved in these scandals? 1. Constraints on investing: Mutual funds are far more constrained in where and how they invest than most hedge funds are. Some of these constraints are imposed by regulators, some are self imposed and some are the created by clients. a. Long versus long/short strategies: Most mutual funds can only buy stocks (The Investment Company Act of 1940 that governs mutual funds puts significant restrictions on short sales by funds), whereas hedge funds often can both sell short on some stocks and go long on others. b. Investment choices: There are several mutual funds that are judged based on "tracking error", measured by how far their returns deviate from a specified index's return. This constraint, usually imposed by clients, is designed to prevent fund managers from straying too far from the companies in the index. Hedge funds generally can invest not only in whatever company they want but many invest across asset classes. 3. Financial leverage: Hedge funds are far more likely to use borrowed money to lever their bets. Most mutual funds either do not borrow money or do so on a very restrictive basis. 4. Compensation systems: Mutual funds generally make their money in two ways. All mutual funds cover their expenses from the money under management; the management; these management expenses are public information and can be accessed at services like Morningstar. A subset of funds also assess a one-time up-front sales charge (load), when you invest, where a certain percent of what you invest is taken by the fund at the time of the investment. Hedge funds assess an annual load (1% or 2% of the invested amount each year) and a percentage of the profit on the investment (10 or 20% of the profits). You may be wondering at this stage what all of this has to do with insider trading. Consider why people seek out insider information. If they succeed, they can buy or sell a stock prior to that information becoming public; when it goes public, the stock will pop up or down, depending on whether the information is good or bad news. Hedge funds can exploit both good news and bad news, by buying stocks in advance of the former and selling short ahead of the latter. Mutual funds can only buy on good news (though they can sell any existing holdings of companies on which bad news lies ahead). While money management at any level is a rat race, where funds try to keep their own clients and coax clients away from their competitors, the race becomes more frenetic with hedge funds. A hedge fund that lags its peer group can enter a death spiral, where losses spur withdrawals which feed into more losses. If the "inside information" is precise, you can use even more debt in your investment strategy, creating huge payoffs on your investment, when the information becomes public. Financial leverage acts as a multiplier on profits from insider trading. In closing, though, I am not sure that all of this seeking out of information is generating a payoff for hedge funds. In the aggregate, they continue to either match or under perform actively managed mutual funds (which, in turn, under perform index funds), when fees and transactions costs are factored in. It is entirely possible that some of the "super" performers among hedge funds got there because they had access to private information that no one else had. I just don't think it is likely! As Shakespeare would put it, this seems like much ado about nothing! How do you evaluate risk taking? I don't begrudge the White House its victory dance that the GM bet looks like it has paid off, but it is an auspicious moment to examine how we judge risk taking, in general. As I see it, risk taking can be judged on four dimensions. 2. Process: A more complicated way of judging risk taking is to look at whether the risk taking made sense at the time that the risk was taken, with the information available at the time, rather than with the benefit of hindsight. At least in theory, it is possible that even the best-deliberated risky decisions can have bad outcomes, if fate does not cooperate, and that terrible choices when faced with risk can have "good" outcomes. Playing devil's advocate, however, it is much more difficult and more work to evaluate process than outcome. 3. Side costs and benefits:When risk taking creates costs and benefits for others, judging risk taking by its outcome for just the risk taker may not be fair, since it is conceivable for risk takers to make money while creating costs for society. It is also possible for risk taking activity to create losses for the risk takers while generating benefits for society. A fair assessment of risk taking will require us to consider these side costs and benefits into account. 4. Future risk taking behavior:It should not be surprising that how we take and reward/punish risk taking in the present can affect how people take risks in the future. If risk taking of a certain type consistently is rewarded, you will see more of it in the future. If in contrast, risk taking of a different type leads to punishment/losses, you will see less of it in the the future. If markets are viewed as "too easy" on risk takers, there will be more risk taking in the future in the future. When does it make sense to judge risk taking on outcome alone? If a risk taker takes many risks over time and is right on average on a consistent basis and there are no significant side costs and benefits, it is reasonable to argue that success is the result of good risk taking. A portfolio manager who beats the market each year for 10 years must be doing something right in terms of risk taking. However, judging a large risk taking venture with significant side costs and benefits and consequences for future risk taking on whether it makes money or not may not be sensibel. Returning to the GM investment, the judgment on whether it was successful becomes more nuanced when we consider the other factors, even if the government's original investment makes money. a. Did the government investment in GM make sense at the time of the investment, given what was known then? Tough to tell, since we do not know what the government knew at the time of the intervention. Given what the rest of us knew at the time, it would have been difficult to justify the billions invested in the company. However, it is possible that the authorities had information about GM's assets and liabilities that we did not. So, I will give the benefit of the doubt to the government on this point. b. What were the side costs and benefits of the government investment? On the plus side , GM's salvation prevented thousands of layoffs at the company and budgetary chaos at at least one state (Michigan). On the minus side, the government's intervention on GM's behalf has cost other carmakers a chance to make inroads in this market. To the extent that the other car makers are foreign (Toyota or Honda), this may seem like a good thing, but the belief in free markets cannot stop at the borders. It is also conceivable that GM's salvation may have cost Ford a chance to make inroads into the market and secure its position for the long term. c. What are the long term lessons for risk taking behavior? It is undeniable that GM made some really bad strategic and management decisions in the the last three decades. In the face of default, the government stepped in, upended bankruptcy and tax laws (which conveniently were written and interpreted by government officials) and saved the company. Other firms that took more prudent decisions in the face of risk were put at a disadvantage. It would seem to me that the lessons learned on risk taking from this experience are the wrong ones: if you take risks, make sure that you are a big firm with the right connections. Bottom line. As a taxpayer, I am happy that the GM investment looks like it will break even or better.. As an investor, I am less happy about the long term consequences of this success. I am afraid that it sends the wrong signals on risk taking to the market and investors. This post spans two topics I love - finance and sports- and what triggered it was the hullabaloo over Cam Newton, Auburn's quarterback, and the purported attempts by his father to extract money from Auburn. The National Collegiate Athletic Association (NCAA) will be the ultimate arbiter on whether rules were broken and the penalties that will follow, but this entire debate about college sports strikes me as hypocrisy of the highest order. Here comes the hypocrisy. The NCAA likes to maintain the illusion that college sports is not business and that college players are amateurs. While this may in fact be true for most athletes at second and third tier schools, playing lower profile sports, it is certainly not true for college football and basketball at Division I schools. The NCAA then has rigid rules on what college players can receive in return for playing their sports: not only can they not get monetary gifts from the school but the ban extends to cover the most trivial of gifts. From an economic standpoint, this strikes me as a modern version of indentured servitude. If you are a superb basketball or football player, you have to play for a college of your choice (that is the NCAA's concession to free choice) for nothing, before you can play professional football or basketball. The colleges and the networks make millions but the players (who are the stars of the system) get scholarships, worth a few thousands and risk career ending injuries while doing so. As I watch the "amateur" label debated in college athletics, I am reminded of similar debates that occurred in tennis and the Olympics. For decades, we kept our best tennis players out of the big tournaments in the interests of maintaining the illusion that these tournaments were just for amateurs; I can only imagine how many Wimbledons that Rod Laver would have won, if he had been allowed to play in his prime. For decades, the Olympics forced great sprinters and athletes to pick between being champions and making a living, before bowing to the reality that you cannot win the 100M by practicing just on weekends. Don't get me wrong. I love college sports, but I think it is time to strip the hypocrisy out. My proposal is that we create two classes of college athletes: The first would be "student athletes", who get scholarships, but focus on taking classes (regular classes, not Mickey Mouse ones) like other students and get college degrees. Some of them may find that they are good enough to become professional, but most of them will play college sports and then move on to bigger and better things in life. The second would be "semi-pro" athletes, who will be allowed to earn an income (we can put caps on the income and restrict what colleges can pay, if need be) while they played and earn money from advertisements and sponsorships. They would be required to be visible on campuses and allowed to take classes, if they choose to. Colleges would also be required to set aside a portion of their revenues to cover the health and personal costs incurred by college athletes. I think I would still enjoy watching UCLA play basketball... while knowing that the Bruins on the court are making a reasonable living while playing the game. The secret to investment success: Self Awareness? I know that there are many who claim to have found the secret ingredient to investment success, though few actually deliver. However, I want to present an unconventional ingredient that I think most academics and practitioners miss when they talk about investment strategies: your personal make-up as an individual. In one of my books, Investment Philosophies, I start with a puzzle. There are many different investment philosophies out there and they range the spectrum both in the tools they use (charts for some, fundamental analysis for others..) and their views on markets (markets learn too slowly, markets over react). In fact, some of these philosophies directly contradict others. But there are two puzzles. The first is that there are a few investors within each philosophy who have succeeded in using that philosophy to great effect over their lifetimes: there have been successful technical analysis, value investors, growth investors and market timers over the last few decades. The second is that within each philosophy, success seems to be elusive for most of those who try to imitate the Warren Buffets and Peter Lynchs of the world. My explanation for the puzzle. Every investment philosophy works but only for some investors and not all of the time, even for them. Each investment philosophy requires a perfect storm to succeed: not only do the times and circumstances have to be right for the philosophy but the investors using it have to be psychologically attuned to the philosophy. Consider, for instance, the investment philosophy that many argue is the best (or at least the most virtuous) investment philosophy for all investors. Good investors, they claim, invest long term in companies that are fundamentally under valued, usually in the face of market selling. Here is the problem. The strategy sounds good and makes money on paper but requires three ingredients from investors for success: a long time horizon, a strong stomach and a willingness to go against the grain. If you are an impatient investor, who has a worry gene and care about peer pressure, adopting this strategy will be a recipe for disaster. Not only will you end up abandon your investments well before they pay off, you will make yourself miserable (and physically sick) in the meantime. For this investor, a short term momentum strategy makes a lot more sense. 1. Are you a patient or impatient person? 2. How do you respond to peer pressure? 3. Are you a "worrier"? 4. Are you a details person or a big picture person? · Technical momentum indicators – Buy stocks based upon trend lines and high trading volume. · Technical contrarian indicators – mutual fund holdings, short interest. These can be for individual stocks or for overall market. · Pure arbitrage in derivatives and fixed income markets. · Tehnical demand indicators – Patterns in prices such as head and shoulders. · Relative strength: Buy stocks that have gone up in the last few months. · Information trading: Buy small cap stocks with substantial insider buying. · Market timing, based upon normal PE or normal range of interest rates. · Speculative arbitrage opportunities: Buying paired stocks and merger arbitrage. · Passive growth investing: Buying stocks where growth trades at a reasonable price (PEG ratios). · Passive value investing: Buy stocks with low PE, PBV or PS ratios. · Contrarian value investing: Buying losers or stocks with lots of bad news. · Activist value investing: Buy stocks in poorly managed companies and push for change. 1. Level of interest rates: If short term rates were 5% and long term rates were 7%, I can see the potential for lower interest rates inducing more borrowing and higher consumption. But short term rates are already close to zero and long term rates are at historic lows. If people are not borrowing money at 4% (long term mortgage rates are down to that), what makes the Fed think that a 3.5% rate will induce them to do so? As for companies borrowing money, why should they when they are sitting on huge cash balances? 2. Existing leverage: The average US household already has too much debt, some of it reflecting a hang over from excessive credit card and other borrowing in the good times and a great deal of it a result of the housing boom and bust. Assuming QE2 works, is it a good idea to induce consumers to borrow more? It may create some short term growth, but are we not setting ourselves up for the next bubble bursting? 3. Inflation fears: The power of monetary stimulus rests on the credibility of the central bank. If investors trust the central bank to keep inflation in check in the long term, they will respond to the stimulus by lowering interest rates. If, on the other hand, that trust is lost, a stimulus can actually be counter productive. The pumping of money into a system that is already flush with cash and facing potential deficits down the road will raise the inflation bogeyman, which in turn will push up interest rates. I am not convinced by Bernanke's twin rejoinders: that existing inflation is very low and that the last stimulus did not create inflation. That was because the last stimulus did not work. If this one does, then what? 4. Currency devaluation: Related to inflation fears is the effect on the US dollar, which has been under selling pressure for a while. A dollar devaluation will also make imported goods more expensive in the US, and given the trade deficit, that has to feed into price increases in the future. 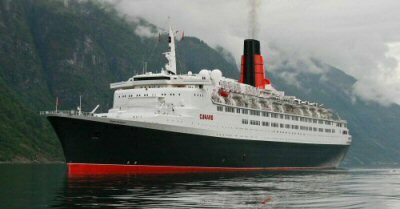 And for those of you who may be wondering about the title of this post, here is the original QE2.